Krishna Kumar re-imagines education for working professionals. He strongly feels that technology can be used to make learning more accessible and to personalize learner experience for students. An entrepreneur at heart, Krishna believes in continual improvement and the need to stay focused on achieving goals. This remains the guiding philosophy at Simplilearn. Krishna focuses on accelerating growth and guiding an end-to-end strategy to advance Simplilearn's position in high-growth markets. Before Simplilearn, Krishna was the Co-founder and COO at TechUnified – a software product company which he exited successfully in 2007 after selling it to a publicly held company. Krishna earned his Bachelor of Engineering degree from NIT, Surathkal, India. A fitness enthusiast, Krishna enjoys long runs outdoors and is passionate about teaching. Kashyap is an internet entrepreneur with over 10 years of experience in building growth teams and hacking growth across functions. He is passionate about building high-performance teams and enjoys being actively involved in problem solving for business growth. At Simplilearn, Kashyap leads the Global consumer business and the Enterprise business in Europe, APAC and ME markets. Prior to Simplilearn, Kashyap was the Founder and CEO of Inkfruit.com, India's first co-created products brand. Kashyap scaled the company to a successful exit in early 2013. He began his career with Unilever in Sales and Marketing. Kashyap is an alumnus of IIT Bombay and IIM Lucknow. In his spare time, he is a huge fan of Star Trek and loves reading fiction. He is also a certified diver and makes it a point to log a few dives every year. A passionate internet executive with two decades of marketing and line-management experience, Mark has successfully driven 9-figure revenue streams for emerging companies and divisions of Fortune 100 corporations. At Simplilearn, he oversees all aspects of the company’s global marketing initiatives, communications and go-to-market efforts. Previously, he headed marketing at Ebates and held executive positions with MyNewPlace, Wells Fargo among others. Mark is a joint inventor of Patent 20080082426 for enabling image recognition and the enhanced search of remote content on partner websites and in ad units. Also a angel investor and startup adviser, Moran holds a BA, from Pomona College and a MBA from Stanford Business School. A Product leader with deep experience in building products across various industries and product types, Anand leads the product vision, roadmap and delivery at Simplilearn. Prior to this role, Anand headed the compute portfolio for the cloud division at Rackspace in San Antonio, Texas. He has also led product at Dell and National Instruments prior to this in products ranging from test and measurement software solutions to enterprise software solutions. Anand strongly believes in a customer driven, data augmented, lean approach to delivering products. Anand is a Computer Engineering graduate from NIT Surathkal, India, and holds a Masters in Computer Science from Texas A&M University as well as an MBA from The University of Texas. He unwinds over soccer and music composition; he also enjoys time with his family and travel. 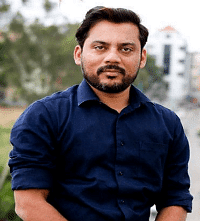 Driven by a passion for technology, people, and business, Jitendra Kumar has more than 13 years of technical experience in various startups in the Media, Entertainment, and IT industries. He is a technology and SEO evangelist, and involves himself in hands-on coding with his team. Jiten is a B.Tech Computer Science graduate from IIT Kanpur, India. He loves spending time with his family and indulges in video gaming. Ram Gupta is a Silicon Valley software veteran with 25 years of strategy expertise in innovative technology companies. His experience ranges from chip design to application software, and he has been part of teams that built the first healthcare Internet transaction service, pure Internet application software, and application integration in the cloud. During his stint at WebMD Corp, Ram was supported in growing the company from a $5 million annual revenue startup to a public company with a market cap of more than $2 Billion. Ram holds an MS degree in Computer Engineering from the University of Massachusetts and is a graduate in Electrical and Electronics Engineering from BITS Pilani, India. Dr. Ashish Gupta is the co-founder of Helion Ventures and serves on several boards including Simplilearn, Kirusa, Komli, MySmartPrice.com, Pubmatic, and SMSGupshup. He has co-founded two successful companies: Tavant Technologies and Junglee (AMZN). He has also worked at Woodside Fund, Oracle Corporation, and IBM research. Some of his past investments include Daksh (IBM), InfoEdge (NAUKRI), MakeMyTrip, MuSigma, Odesk, and Redbus. Ashish is a Kauffman Fellow, holds a Ph.D. in Computer Science from Stanford University as well as a Bachelor’s degree from Indian Institute of Technology Kanpur. He has authored several patents, publications, and a book by MIT press. Rajesh is a pioneer in investing in direct-to-consumer companies in India. His investment interests span consumer categories in retail, education, and mobile. Rajesh returned from the U.S. in 2006, drawn by the immense potential that India presents for entrepreneurs in reshaping the country. He has been a part of the startup ecosystem ever since. With more than 20 years of experience, Rajesh has a broad set of experiences in the technology industry across product development, sales, M&A, and private equity. He serves on the boards of several companies, including Simplilearn, Cashkaro.com, and Haptik. Rajesh has an MBA from the University of Chicago, a Masters in engineering from Marquette University, and Bachelor’s in Engineering from BITS Pilani, India. Vikram has been an active venture investor in India over the last 14 years. He has successfully invested in and had exits from early-stage and growth-stage investments in the logistics, wireless, education, financial services, and media industries. Vikram focuses on sectors such as Cloud, SaaS, Big Data, Education, and Logistics. He sits on the boards of Simplilearn, The Beer Cafe, Amagi, and Genesis Colors. He has also led the investment into Centum Learning and Fourcee Infrastructure. Earlier, Vikram was a founding member of JM Financial Investment Managers Limited. He has also worked for Cisco’s investment arm. Vikram received his Bachelor’s degree in Commerce and a Masters in Management Studies from the University of Bombay, India.